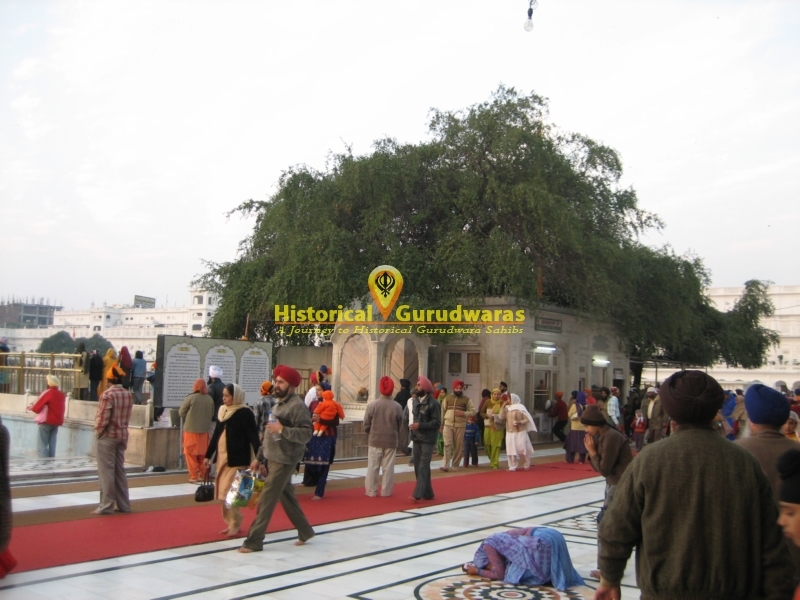 GURUDWARA SHRI THADA SAHIB is situated in Distt City Amritsar. 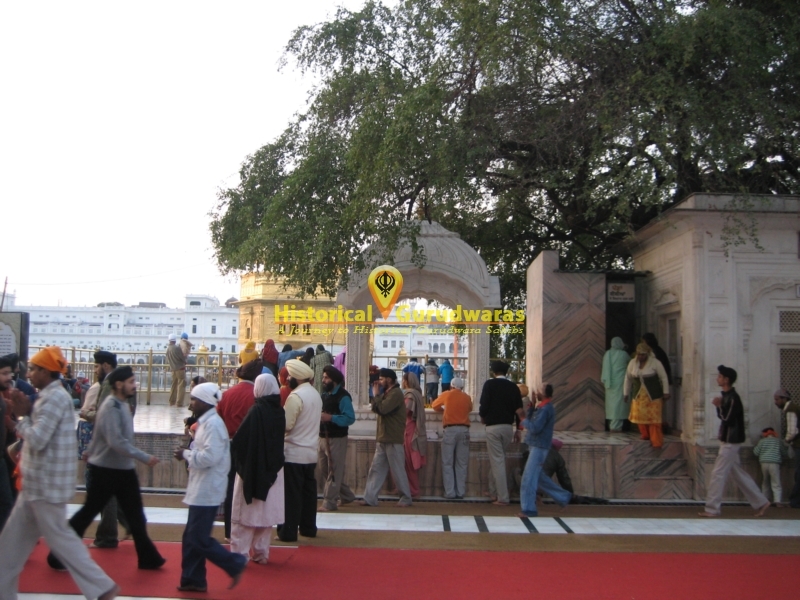 This Gurudwara Sahib is situated in the prikarma of GOLDEN TEMPLE SHRI HARIMADIR SAHIB AMRITSAR. Sitting here SHRI GURU RAM DAS SAHIB JI used to supervise the construction of GURUDWARA SAHIB and excavation of SROVAR SAHIB. 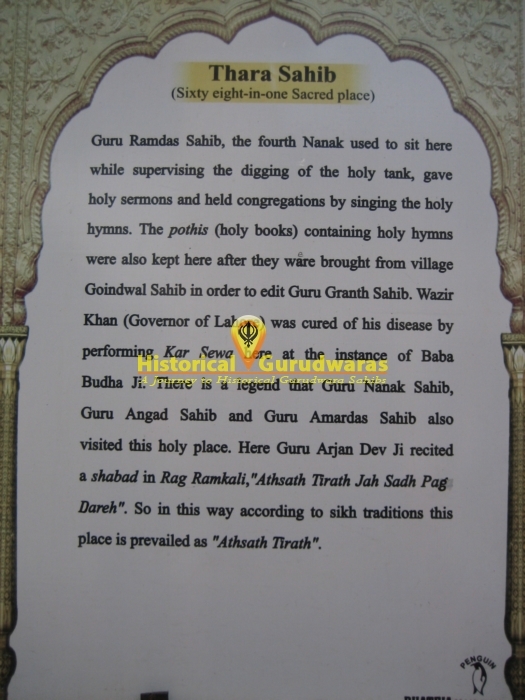 Holy Pothy sahibs brought from SHRI GOINDWAL SAHIB were kept here in order to edit SHRI GURU GRANTH SAHIB. Wazir Khan (Governer of Lahore) was cured of disease by performing kar sewa here at instance of Baba Budha Ji. 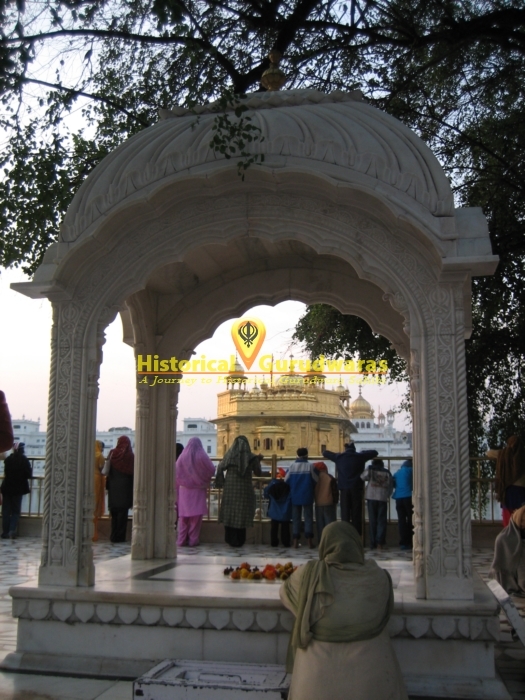 There is a legend that SHRI GURU NANAK DEV JI and SHRI GURU ANGAD DEV SAHIB JI also visited this holy place. Here SHRI GURU ARJAN DEV SAHIB JI recited shabad in Rag Ramkali \"Athsath tirath jah sadhu pag dareh\". Taking holy dip here one gets blessings equivalent to 68 holy Pilgrimages.